It’s that time of year again. 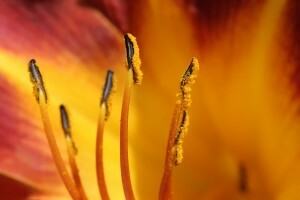 While Spring may have sprung a little earlier than many expected – with temperatures reaching up into the 70’s and 80’s – with it comes an unwelcome guest, pollen. That fine yellow dusting that coats our cars, patio tables, and… well, EVERYTHING that exists outside our homes, is wreaking havoc on even the healthiest of souls. With record high pollen counts already listed in the history books for this year, we’re afraid it’s not going anywhere anytime soon – but there are a handful of fairly simple ways you can combat it and keep it where it belongs… outside. 1) Fight the Urge to Let the Fresh Air In: It’s gorgeous. The birds are chirping, the flowers are blooming, and the weather is perfect with just a slight breeze in the air. The outdoors beckon and you long to let them in by opening a window here and there. Big mistake. Until the pollen counts have died down, you’ll want to crank on the A/C and peer out those closed windows for awhile. It’s a great excuse to clean them – from the inside. 2) Make Sure to Mask Before You Mow: Bermuda lawns all over Atlanta are waking from their not-so-long winter slumber, and could likely benefit from a good scalping. Of course that means you’ll be kicking up lots of pollen as you make your way through the grass. Visit your local hardware or home improvement store and purchase multi-packs of sanding masks or particulate respirators – you’ll still be able to breathe, but won’t be taking in as much of the pollen. This is also a great trick for weeding and planting in those flower beds. 3) Enter the De-pollination Chamber: Try your best to route your family – including the family dog – through the mud room, basement, or laundry room of the home. It’s important to have one designated space for everyone to remove their pollen laden shoes and towel off before entering the rest of the home. Give Fido a once over with a damp towel to remove any pollen that might be stuck to his fur and paws, too. 4) Let the Sunshine in, While Keeping the Pollen Out: The addition of a sunroom allows you and your family to enjoy nature’s beauty, while avoiding nature’s nuisances – like mosquitoes, ants and – you guessed it – pollen. A sunroom can become a much-beloved extension of your current home – providing a four-season space where the outdoors plays an integral role. Outdoor living spaces and room additions are just two of our favorite projects at Highlight Homes – let us combine them for you for a one-of-a-kind room custom-designed to fit the distinctive needs and collective personality of your family. 5) The End is (Almost) in Sight: The pollen won’t last forever, and when it’s gone – you may be ready to get outside and celebrate. Now could be the perfect time to let the Highlight Homes’ design/build team brave the ravages of pollen season, so you and your family can enjoy a brand new deck, outdoor kitchen, or pool with stone patio in just a matter of weeks. Think of all the grill-outs, pool parties, and neighborhood gatherings you could be hosting! In the event that you would like to consult with the talented designers and builders at Highlight Homes about a new sunroom or outdoor living space project, we want you to know that our consultations are not only friendly and informative – but also hold no obligation on your part. We can discuss your project with you over the phone or face-to-face to help you determine the scope and budget you’ll need for the project. (FYI – Highlight Homes is proud to now accept credit cards for all of our home improvement projects!) Getting started is easy! We invite you to call us at 678.873.9234, e-mail the team at info@highlighthomesga.com, or fill out our convenient online contact form. To learn more about Highlight Homes, please visit us at www.highlighthomesga.com. In the weeks leading up to Spring, it's the ideal time to begin planting ideas for that big home remodel you've been dreaming about. Then sit back, relax, and watch them GROW! All great renovations begin with an idea. Oftentimes, the best ideas come from the homeowners themselves. You’re tapped in to what your needs and wants are. A professional can help enhance your idea and shape solutions that you may not have realized were possible, but it all begins with you. Host a family meeting to discuss the space in question. Whether it is a basement that is woefully underused because you keep putting off having it finished, a backyard that has been neglected, a room that is outdated and cramped, or a room that is greatly needed but doesn’t exist yet – each family member likely has a great solution in mind. Write them all down – the answer may be found somewhere in between. If your family members wish to make sketches of their ideas, that’s great, too. Once you’ve narrowed down what space you wish to tackle and how you would like to envision its future use, begin combing through coffee table books and magazines for images that really speak to you. Bookcases that frame a door could help add personality to a room, while aiding in storage issues at the same time. A tiki hut-themed outdoor kitchen may jump off the page at you as you envision countless backyard cookouts under the stars. A theater room with stadium seating could make your basement THE hangout of choice for your teenager and his/her friends. Cut out and/or copy any pictures that you really connect with and start a special idea scrapbook. 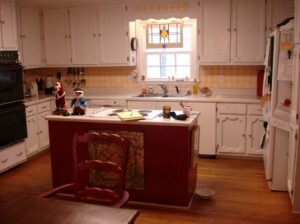 Once you have all of those things in place, you’re ready to begin researching reputable renovation companies. Be sure that they are licensed, accredited, registered and insured. Check with professional groups like the Better Business Bureau to make sure there have been no complaints lodged against them. Most importantly, make certain you have a good rapport with the construction supervisor when you meet for your initial consultation since he will likely be your go-to person throughout the project. If you meet several companies and receive a range of quotes, try to avoid going with the lowest estimate just to save money. Reputation and rapport are every bit as important as cost savings – your home is one of the biggest investments you will ever make in your lifetime, and not really a place where you want to cut corners. 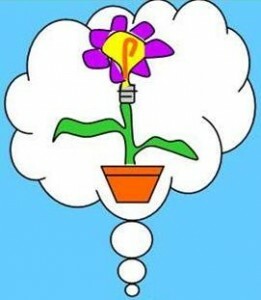 Highlight Homes welcomes the chance to take those ideas you’ve planted and help them bloom into something you never even dreamed was possible. We invite you to call or e-mail us to schedule an initial consultation so we can begin shaping up your design and estimate in order to get you on our busy Spring calendar before it fills up. The Highlight Homes design-build team can be reached by calling 678-873-9234, e-mailing info@highlighthomesga.com, or filling out our quick and helpful online contact form. We look forward to hearing your ideas! As the nation’s economy struggles to right itself, small businesses everywhere are seeking out new solutions to help their customers continue to conduct “business as usual”. Highlight Homes is among those businesses. Highlight Homes has always been customer-centered – designing beautiful renovations to fit each client’s distinctive tastes and unique needs, but they have been primarily a cash or check business to date. Through their new payment options, they can now design a payment system to fit their client’s budgetary needs – either through one credit card payment* or a series of payment installments. 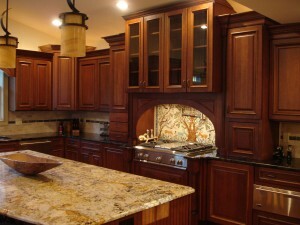 Highlight Homes offers more than 25 years experience in custom building and home renovation. This Georgia-based company serves all of Metro Atlanta and surrounding areas including Buckhead, Sandy Springs, Roswell, Alpharetta, Newnan, Peachtree City, and beyond. The design-build firm specializes in kitchen and bath remodels, deck and patio installations, window and door replacement, room additions, basement finishing, and so much more. To schedule a no-obligation consultation with Tony and his team, call 678-873-9234, e-mail info@highlighthomesga.com, or fill out Highlight Homes’ convenient online contact form. 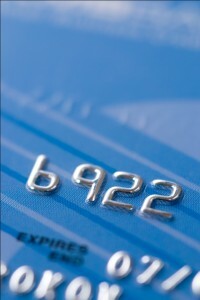 * Credit card transactions are subject to a nominal convenience charge of 2.25%. Tax will only be charged on the cost of materials, services are tax-free.